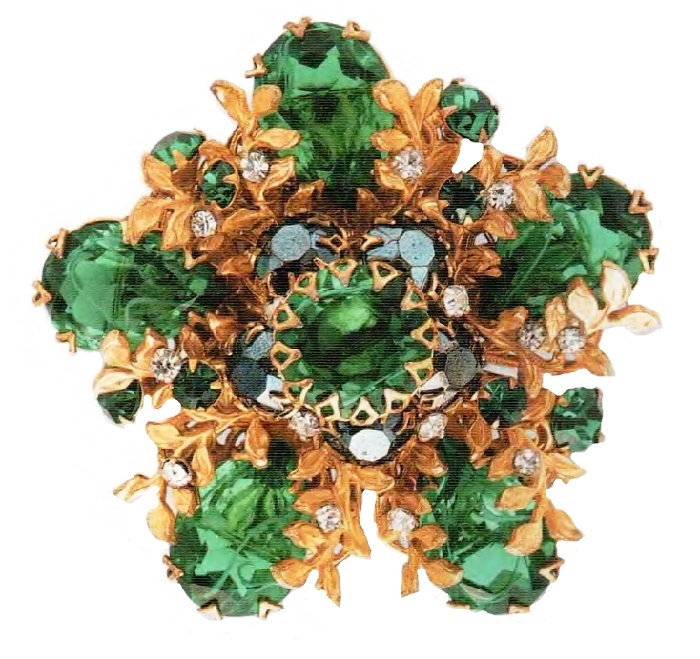 Founded in 1945 in New York, Robert De Mario company produced costume jewellery of a very high quality, with a careful study of details. 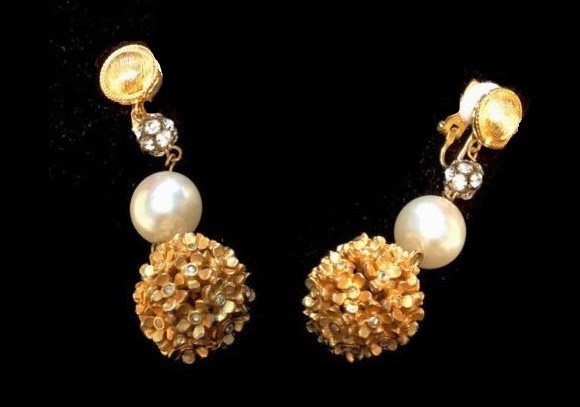 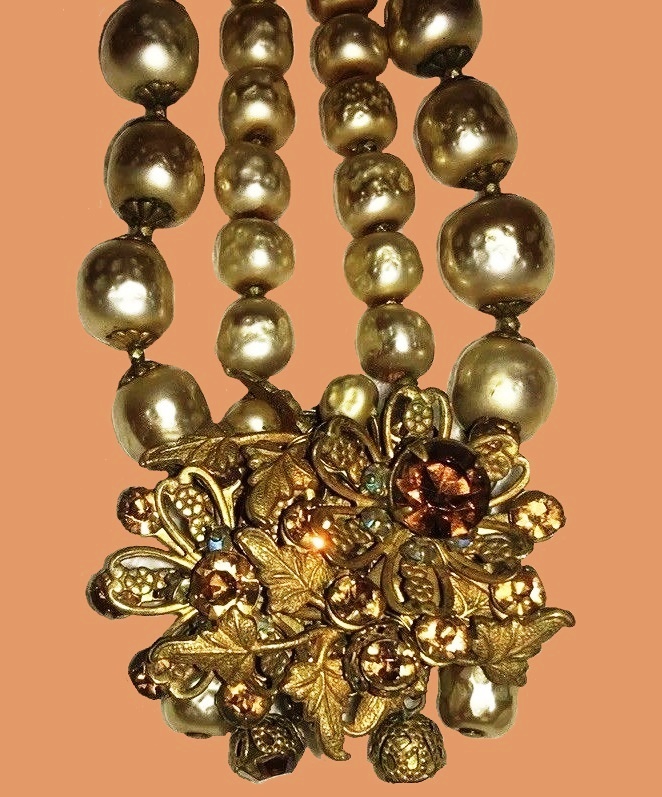 Produced in smal quantities, De Mario decorations are rare and highly appreciated by collectors of vintage jewelry. 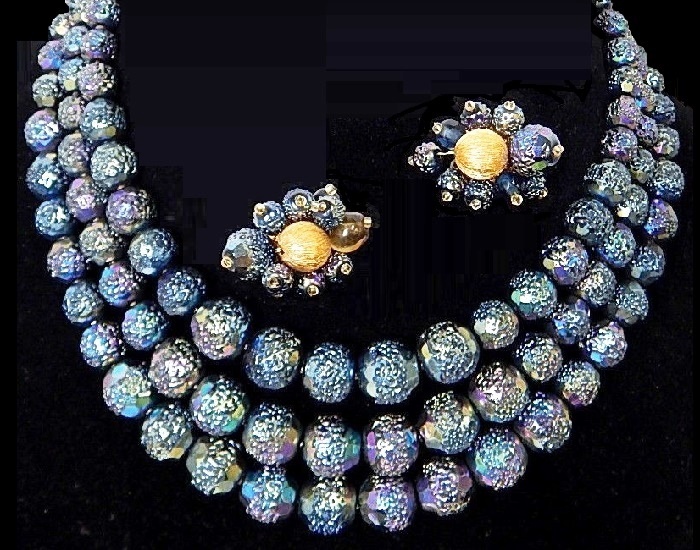 However, in 1965, the company ceased to exist. 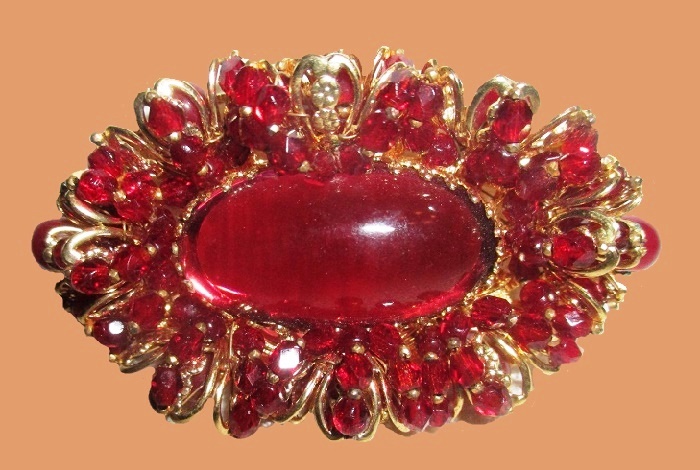 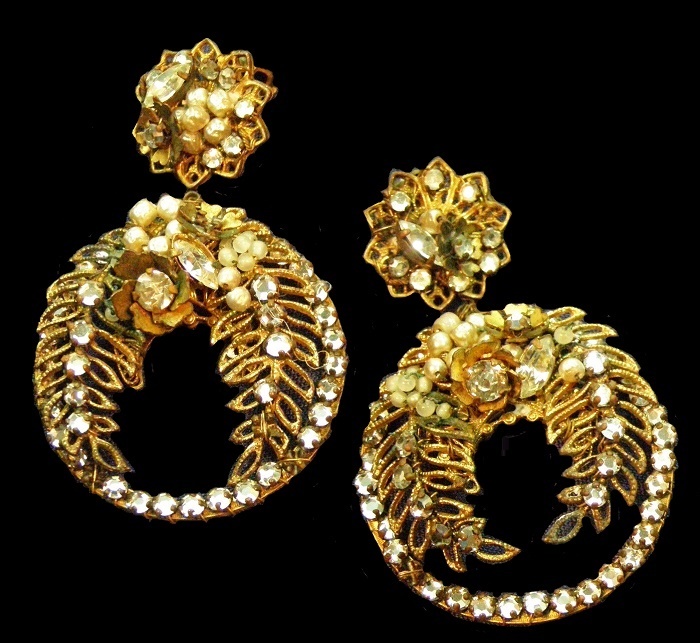 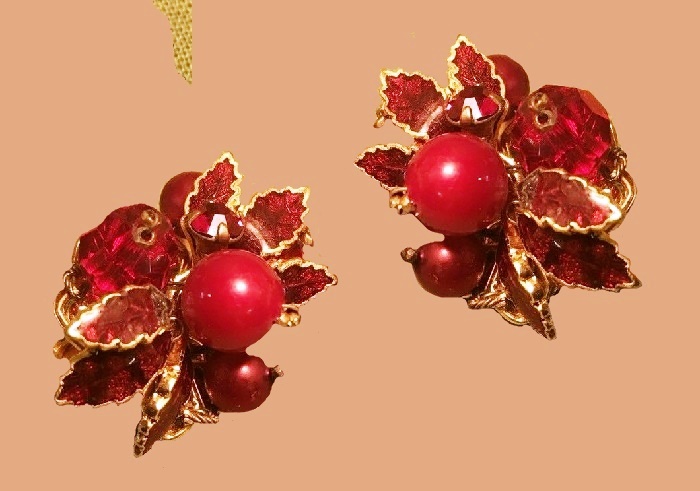 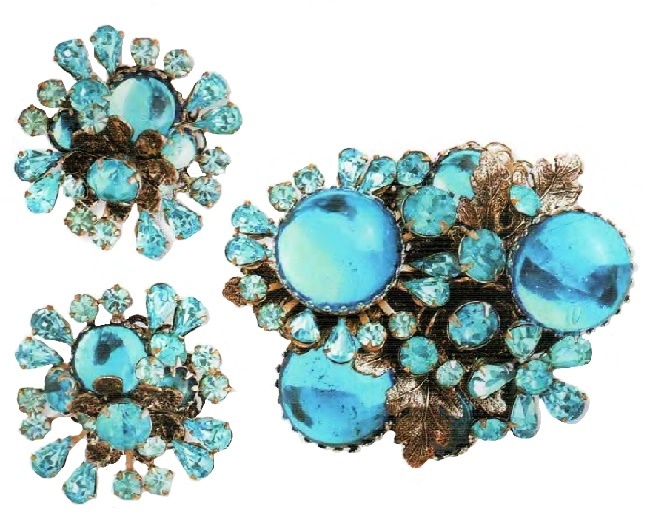 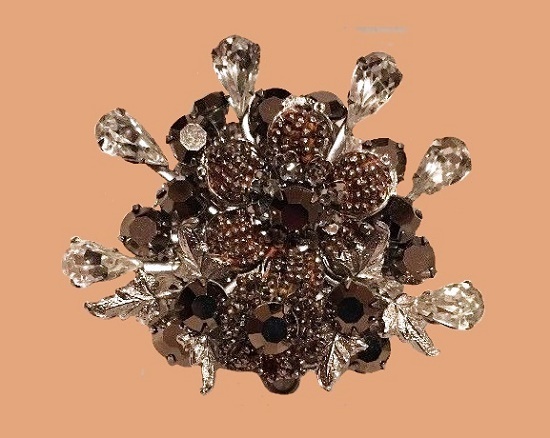 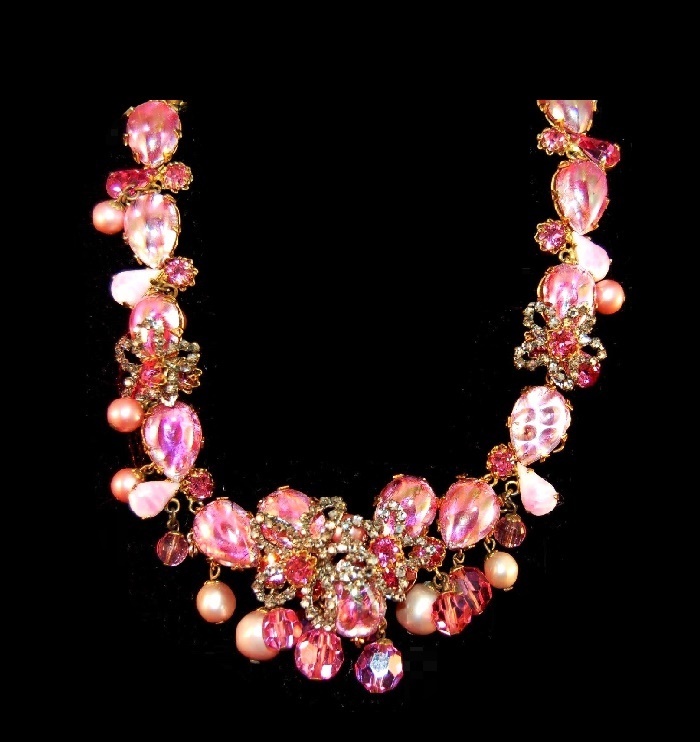 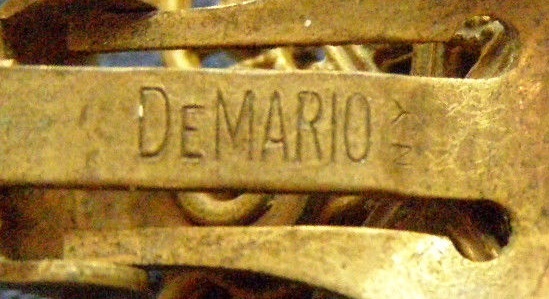 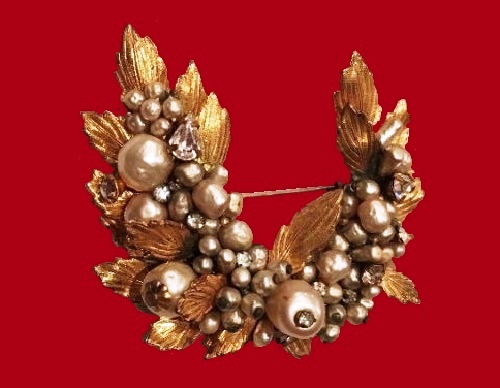 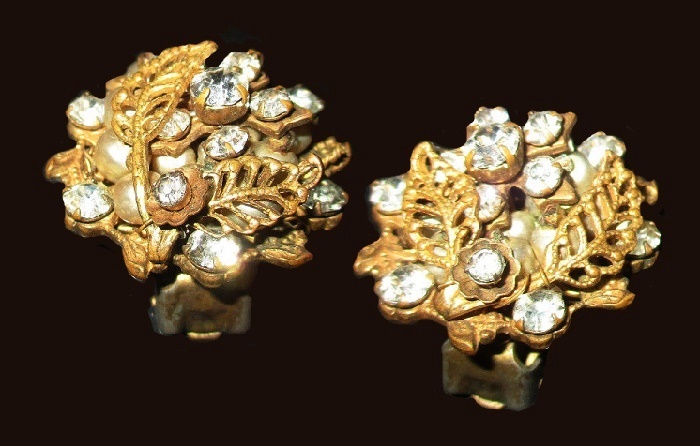 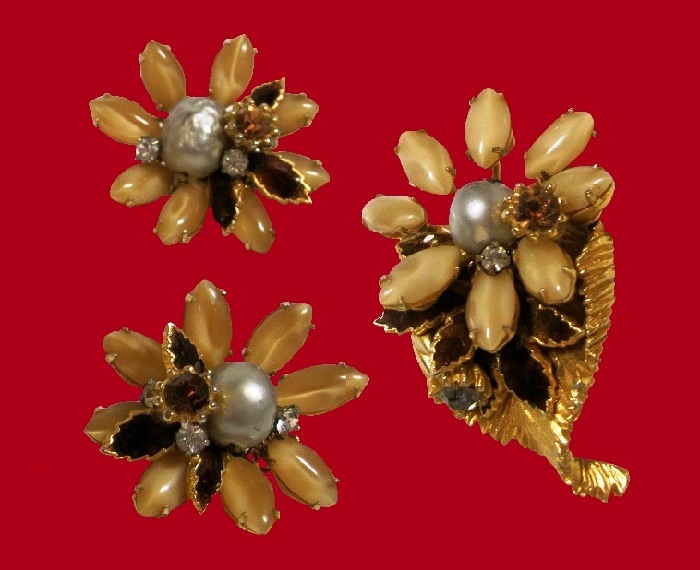 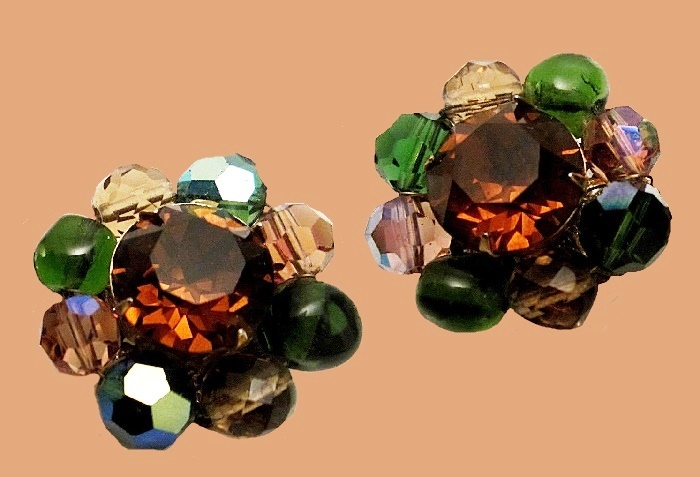 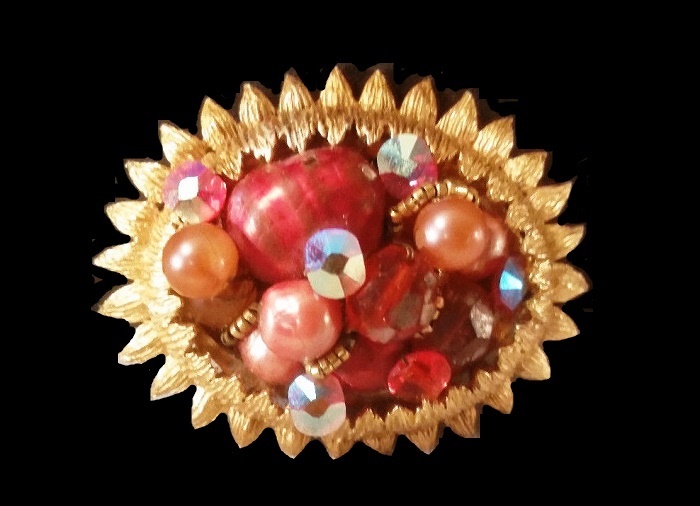 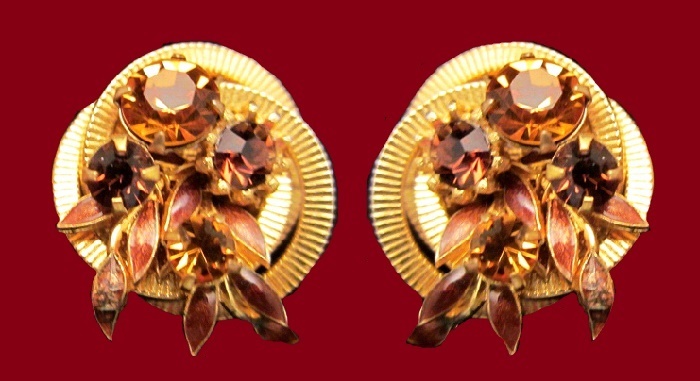 The short production period (1945-1965) and the uniqueness of hand-made jewelry brought DeMario to the catalog of rare and collectible vintage brands. 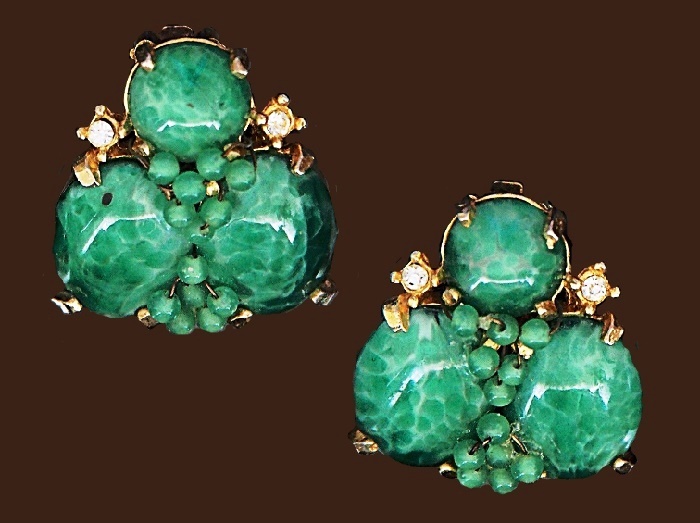 Noteworthy, the partners decided to create the line of jewellery similar to De Mario brand. 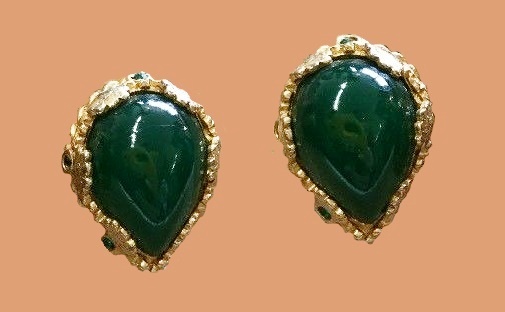 Thus, in 1967 appeared Juliana. 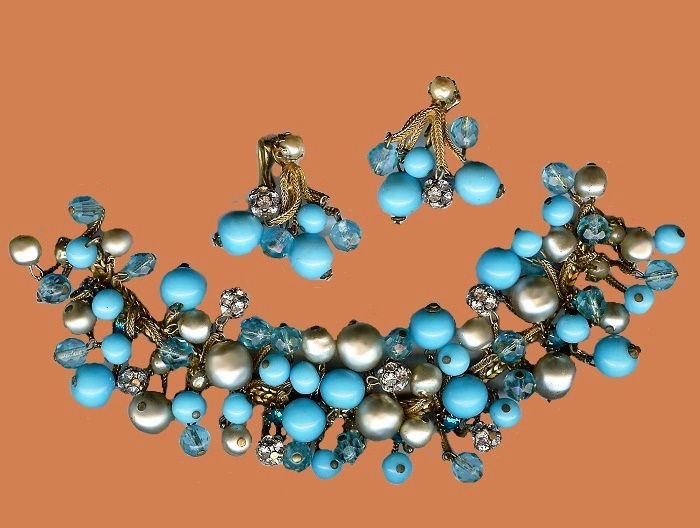 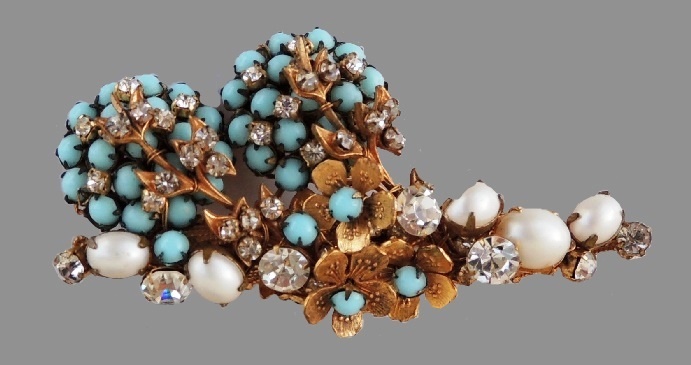 This jewellery line lasted about 2 years, but the name (Juliana) itself became very popular among collectors of vintage jewelry. 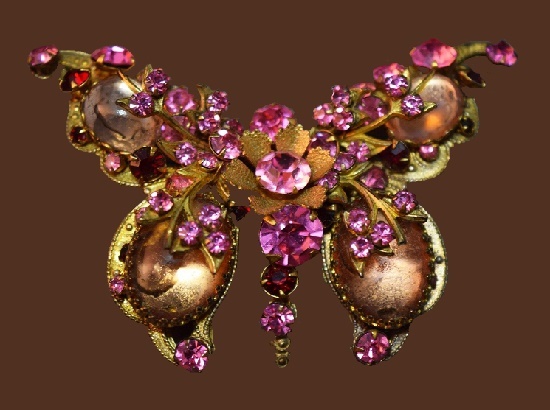 This line of jewelry didn’t have mark, instead, the name Juliana was written on a separate paper label. 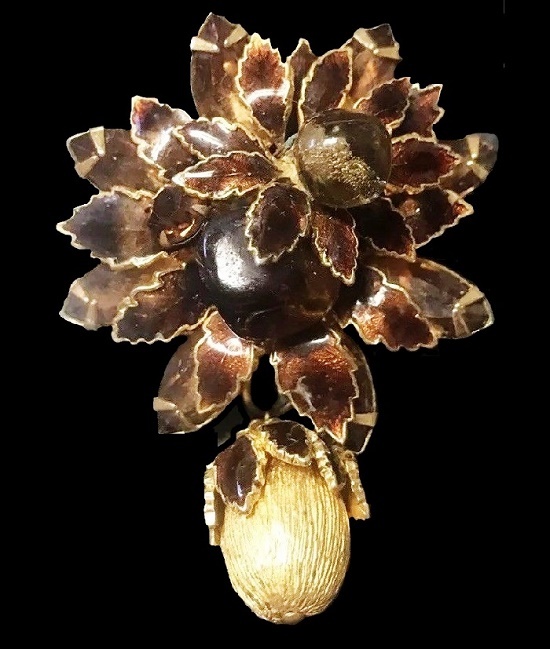 De Mario jewelry was a complex multilayered work, combinations of diverse components and materials – wood, gilding, natural and artificial pearls, mother-of-pearl, faux emerald and garnet. 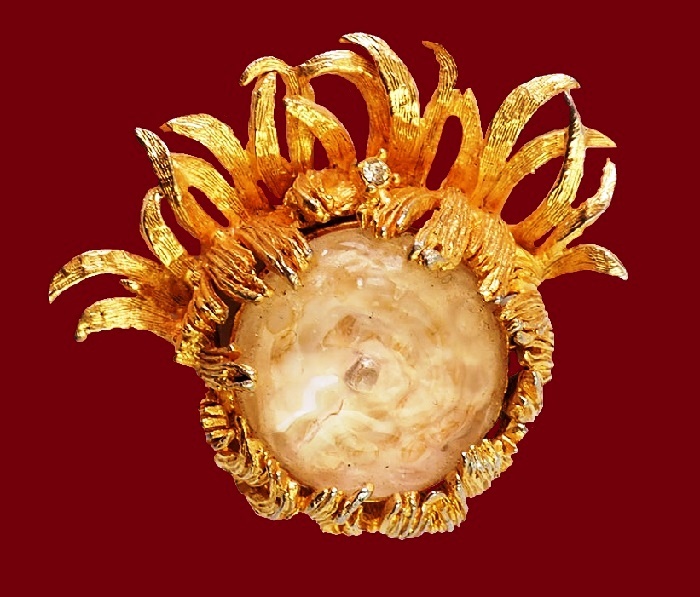 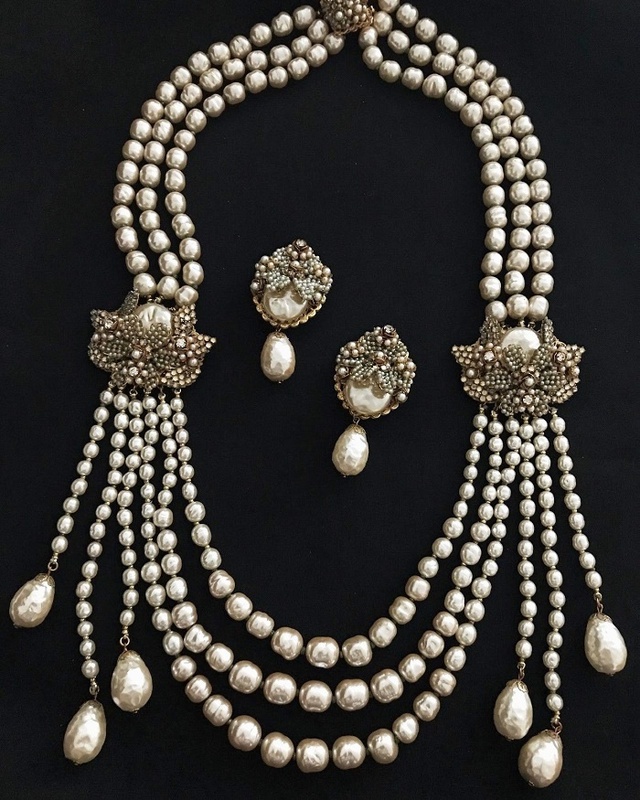 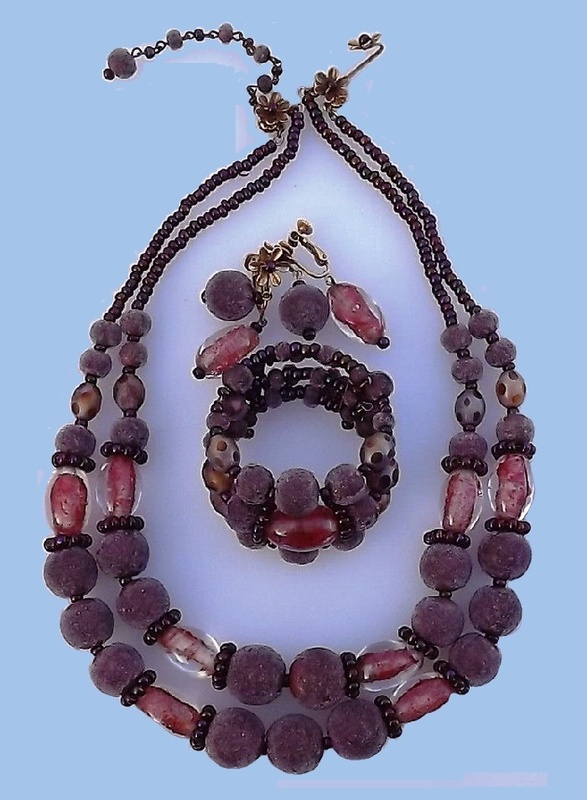 The combination of natural wood, complex incrustation with mother of pearl, techniques of gold foil, the use of rock crystal and beads makes this multi-faceted product truly fascinating.